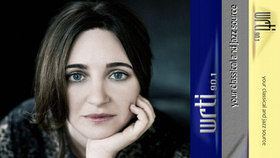 American pianist Simone Dinnerstein is a searching and inventive artist who is motivated by a desire to find the musical core of every work she approaches. The New York-based pianist gained an international following with the remarkable success of her recording of Bach's Goldberg Variations, which she independently raised the funds to record. Released in 2007 on Telarc, it ranked No. 1 on the U.S. Billboard Classical Chart in its first week of sales and was named to many "Best of 2007" lists including those of The New York Times, The Los Angeles Times, and The New Yorker. Her latest Sony album, Mozart in Havana, was released in April and reached number two on the Billboard Classical chart. Dinnerstein's performance schedule has taken her around the world since her acclaimed New York recital debut at Carnegie Hall's Weill Recital Hall in 2005, to venues including the Kennedy Center for the Performing Arts, Vienna Konzerthaus, Berlin Philharmonie, Sydney Opera House, Seoul Arts Center, and London's Wigmore Hall; festivals that include the Lincoln Center Mostly Mozart Festival, the Aspen, Verbier, and Ravinia festivals; and performances with the Vienna Symphony Orchestra, Dresden Philharmonic, Staatskapelle Berlin, RAI National Symphony Orchestra, Royal Scottish National Orchestra, Czech Philharmonic, Danish National Symphony Orchestra, New York Philharmonic, Minnesota Orchestra, Atlanta Symphony, Baltimore Symphony, Montreal Symphony Orchestra, Melbourne Symphony Orchestra, Orquestra a Sinfonica Brasileira, and the Tokyo Symphony. 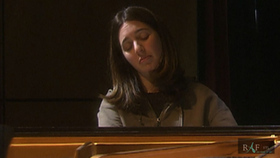 Dinnerstein is a graduate of The Juilliard School where she was a student of Peter Serkin. She also studied with Solomon Mikowsky at the Manhattan School of Music and in London with Maria Curcio. She is on the faculty of the Mannes School of Music and is a Sony Classical artist. Dinnerstein is managed by Andrea Troolin at Ekonomisk Mgmt with booking representation through Helen Henson at Blu Ocean Arts. The Grammy-nominated string orchestra A Far Cry has developed a distinct approach to music-making, with playing and programming that encourage risk-taking and exploration for both player and audience. Known for its high energy, A Far Cry "brims with personality or, better, personalities, many and varied" (New York Times). Since its founding in 2007, A Far Cry has fostered those personalities. The self-conducted orchestra is a democracy in which decisions are made collectively and leadership rotates among the players ("Criers"). This structure has led to consistently thoughtful, innovative, and unpredictable programming - and impactful collaborations with celebrated performers and composers. 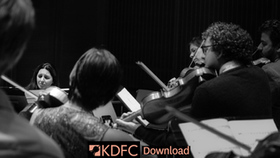 Boston Musical Intelligencer sums up the group: "In its first decade, this conductor-free ensemble has earned and sustained a reputation for top-drawer playing, engrossing programming, and outstanding guest artists." 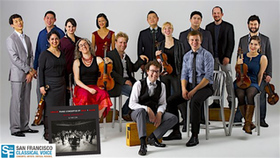 A Far Cry's omnivorous approach has led to collaborations with artists such as Yo-Yo Ma, Roomful of Teeth, the Silk Road Ensemble, Vijay Iyer, and David Krakauer. A Far Cry's eleventh season in 2017-18 reflects the group's ambition and creativity, continuing along a path the Boston Globe describes as "moving ever forward." The season includes 15 Boston-area appearances as part of the group's long-standing residency at the Isabella Stewart Gardner Museum, and its own subscription series. 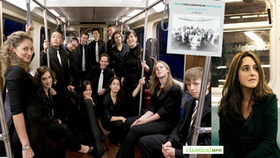 The group makes debut appearances at Columbia University's Miller Theatre and Brooklyn Academy of Music (BAM) in New York, Washington Performing Arts, Toronto's Royal Conservatory, and Duke Performances. 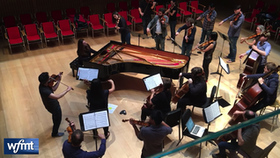 Recent tour highlights include two new commissioning projects: Philip Glass' third piano concerto with soloist Simone Dinnerstein (with an album scheduled for release in May, 2018 on Glass' Orange Mountain Music), and The Blue Hour, "a gorgeous and remarkably unified work" (Washington Post) written by a collaborative of five leading female composers – Rachel Grimes, Angélica Negrón, Shara Nova, Caroline Shaw, and Sarah Kirkland Snider; and featuring Grammy-winning singer Luciana Souza. 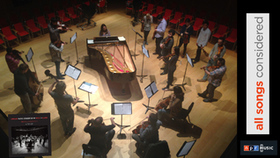 A Far Cry also performed as part of composer Matthew Aucoin's "taut, inspired opera" (New York Times), Crossing at BAM. A Far Cry's Crier Records launched auspiciously in 2014 with the Grammy-nominated album Dreams and Prayers. The label's second release, Law of Mosaics, was included on many 2014 Top 10 lists, notably from New Yorker music critic Alex Ross and WQXR's Q2 Music, which named A Far Cry as one of the "Imagination-Grabbing, Trailblazing Artists of 2014." In fall 2018, Crier Records releases A Far Cry's Variations and Visions, featuring music by Britten, Mozart, and Prokofiev. The 18 Criers are proud to call Boston home, and maintain strong roots in the city, rehearsing at their storefront music center in Jamaica Plain and fulfilling the role of Chamber Orchestra-in-Residence at the Isabella Stewart Gardner Museum. Collaborating with local students through an educational partnership with the New England Conservatory and Project STEP, A Far Cry aims to pass on the spirit of collaboratively-empowered music to the next generation. The Grammy-nominated string orchestra A Far Cry and pianist Simone Dinnerstein have teamed up on a new recording of keyboard concertos by Philip Glass and J.S. Bach. The album, entitled Circles, will be released on Glass' Orange Mountain Music label on May 11. 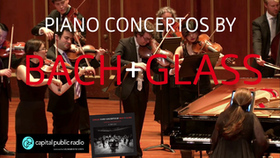 The album features the world premiere recording of Glass's Piano Concerto No. 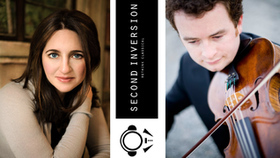 3, a new concerto for piano and strings co-commissioned by A Far Cry and composed by Glass specifically for Dinnerstein, whom the New York Times calls "an utterly distinctive voice in the forest of Bach interpretation." It is paired with Bach's Keyboard Concerto in G minor. 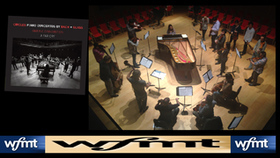 Dinnerstein and A Far Cry toured the new Glass concerto in the fall of 2017, and recorded the album in the stellar acoustics of Mechanics Hall in Worcester, MA. 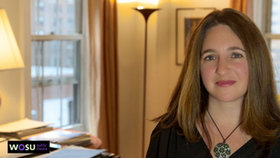 Of their world premiere performance at the New England Conservatory's Jordan Hall, the Boston Globe wrote, "[Dinnerstein and A Far Cry] caught and held the music's patient grandeur, giving each phrase, each chord judicious gravity." The Wall Street Journal called it "an inspired pairing," adding "Mr. Glass could not have hoped for a more graceful, fluid reading." 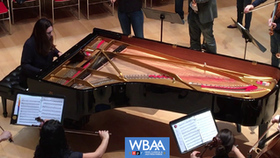 Pianist Simone Dinnerstein has teamed up with the Grammy-nominated string orchestra A Far Cry on a new recording of keyboard concertos by Philp Glass and Johann Sebastian Bach. The album "Circles" is available on the Orange Mountain Music label. 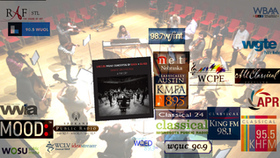 The album features the world premiere recording of Glass's Piano Concerto No. 3, which was commissioned by Dinnerstein in collaboration with twelve orchestras, including A Far Cry. 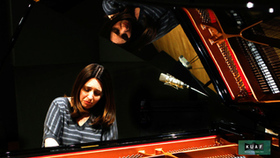 Dinnerstein states: "There are almost no concertos written for piano and strings since Bach's time. Both Glass and I have a strong interest in the music of Bach and how it impacts us today. The pairing of the Bach concerto with his own composition will create myriad strands of connectivity, enabling the listener to create bridges between the old and the new." 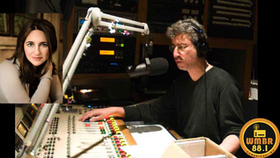 Listen in as WCVE: Richmond VA Music Classical Music Host, Mike Goldberg chat with Simone about what is so unique about this work by Philip Glass. The Grammy-nominated string orchestra A Far Cry and pianist Simone Dinnerstein have teamed up on a new recording of keyboard concertos by Philip Glass and J.S. Bach entitled Circles. Released on Glass' Orange Mountain Music label, the album features the world premiere recording of Glass's Piano Concerto No. 3, a new concerto for piano and strings co-commissioned by A Far Cry and composed by Glass specifically for Dinnerstein, whom the New York Times calls "an utterly distinctive voice in the forest of Bach interpretation." It is paired with Bach's Keyboard Concerto in G minor. SD sat down with Pennsylvania's WVIA Public Media and Erika Funke - ArtScene for an engaging conversation about the recording. Listen to the attached interview. 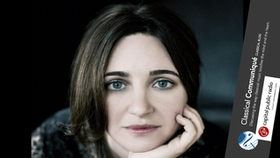 Internationally acclaimed pianist Simone Dinnerstein knew from the moment she started playing piano at age seven that she wanted to make piano her career. "From that moment, I was telling everyone this is what I'm going to be, I'm going to be a pianist." 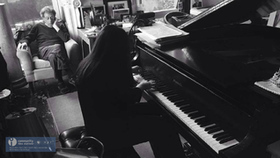 Her passion and dedication as a pianist is clear, both in listening to her play, and in speaking with her, as I recently had the privilege to do. Her latest album, Circles, features a new piano concerto by Philip Glass composed specifically for Dinnerstein, which is paired with a Bach concerto. I asked Dinnerstein how the idea for this new concerto came about, and how they decided to pair it with Bach. 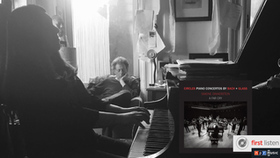 The Grammy-nominated string orchestra A Far Cry and pianist Simone Dinnerstein have teamed up on a new recording of keyboard concertos by Philip Glass and J.S. Bach. 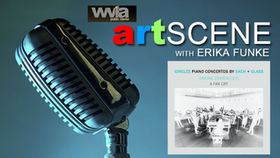 The album, entitled Circles, released on Glass' Orange Mountain Music label, features the world premiere recording of Glass's Piano Concerto No. 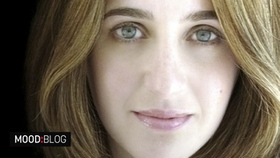 3, a new concerto for piano and strings co-commissioned by A Far Cry and composed by Glass specifically for Dinnerstein, whom the New York Times calls "an utterly distinctive voice in the forest of Bach interpretation." This Glass Concerto is paired with the Bach Keyboard Concerto in G minor. To fund the work, Dinnerstein reached out to a number of orchestras from across the U.S. and Canada, eventually enlisting a total of 12, from various parts of the country, to co-commission the work. 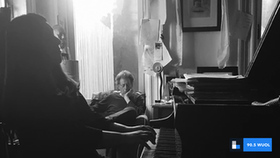 It was clear from the beginning that the premiere and recording should fall to Boston's A Far Cry, with whom Dinnerstein had formed a musical connection after filling in for pianist Leon Fleisher at a concert in 2016. Jason Fisher (viola) of A Far Cry says, "A Far Cry has always been a proponent of new music, and it has been a dream of ours since day one to commission a major work from an iconic American composer such as Philip Glass. We're delighted to be partnering on this project with Simone Dinnerstein, a collaborator beloved by our group and one of America's finest pianists." 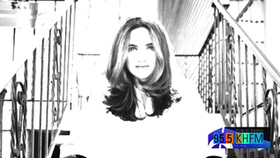 Ms. Dinnerstein recently sat down with 95.5: KHFM - Albuquerque Classical Host, Brent Stevens to discuss the recording. Listen to the attached interview. 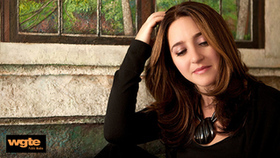 Simone Dinnerstein explores the past and the present, connecting Bach's Keyboard Concerto No. 7 with Philip Glass' Piano Concerto No. 3, written for her in 2017. 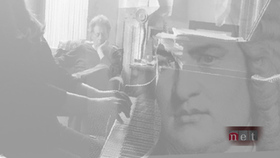 I only started playing [Philip Glass'] music about maybe three years ago two and half years ago, where I created a recital program which juxtaposes his music with Schubert's music, and I go back and forth between the two composers. So that was my first time playing it but, of course, I've been listening to his music my whole life. In fact the first concert that I ever went to without adults, you know, just a friend of mine and I when I think I was about 12 years old and, we went to see The Photographer which was playing at the Brooklyn Academy of Music, and I remember that I had been hearing ads for it on the radio and I was totally intrigued by what I was hearing was the first time I ever heard any of his music. And I decided I really wanted to go and I wanted to go without my parents. It was kind of an important moment for me going to my first concert, on my own. Bach's music is…the heart of it, you know where everything comes from. The music has the feeling of you know, whatever you might need from music is there. I feel like if I could only live with one composer that would be the composer I would live with. 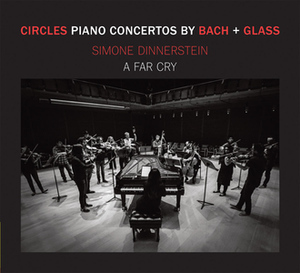 Pianist Simone Dinnerstein's latest recording from the Orange Mountain Music label is called Circles, and features the Boston-based, Grammy-nominated chamber orchestra A Far Cry. It also features two piano treasures, one old and one new: J.S. Bach's Keyboard Concerto No. 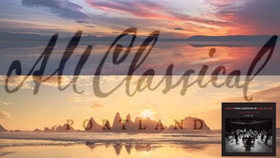 7 in G Minor, BWV 1058, and a brand new concerto by Philip Glass (Piano Concerto No. 3), written especially for her. The Grammy-nominated string orchestra A Far Cry and pianist Simone Dinnerstein have teamed up on a new recording of keyboard concertos by Philip Glass and J.S. Bach. The album, entitled Circles, will be released on Glass' Orange Mountain Music label on May 11. 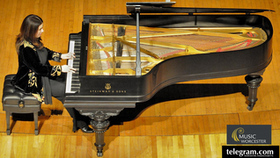 The album features the world premiere recording of Glass's Piano Concerto No. 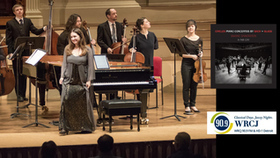 3, a new concerto for piano and strings co-commissioned by A Far Cry and composed by Glass specifically for Dinnerstein, whom the New York Times calls "an utterly distinctive voice in the forest of Bach interpretation." It is paired with Bach's Keyboard Concerto in G minor. 90.9WRCJ: Detroit's Chris Felcyn sat down with SD to discuss the album and the interesting mix of repertoire. Listen to the attached clip. The Grammy-nominated string orchestra A Far Cry and pianist Simone Dinnerstein have teamed up on a new recording of keyboard concertos by Philip Glass and J.S. Bach. 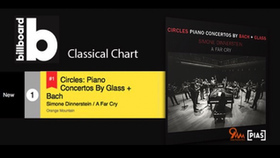 The album, entitled Circles, released on Glass' Orange Mountain Music features the world premiere recording of Glass's Piano Concerto No. 3, a new concerto for piano and strings co-commissioned by A Far Cry and composed by Glass specifically for Dinnerstein, whom the New York Times calls "an utterly distinctive voice in the forest of Bach interpretation." It is paired with Bach's Keyboard Concerto in G minor. In conjunction with this release, SD has made herself avail. for interview to Classical Radio Stations throughout the US. Please watch for our tweets throughout the day. 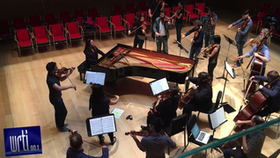 To commission the new Philip Glass concerto on Simone Dinnerstein's new Circles recording, the pianist pulled together a consortium of 12 smaller orchestras from cities around the U.S. and Canada to collaborate on the work. Each of the groups will get a performance in its respective hometown. 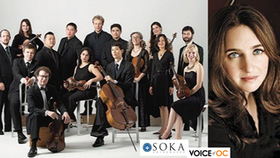 In San Francisco, Dinnerstein is joined by the New Century Chamber Orchestra to play the west coast premiere of the Glass Concerto, No. 3, on Wednesday - May 16 at the Mondavi Center in Davis. 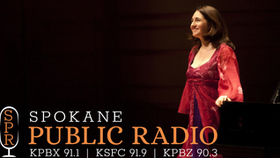 Kevin Doherty from Capital Public Radio's Classical Communique caught up with Dinnerstein. LISTEN.